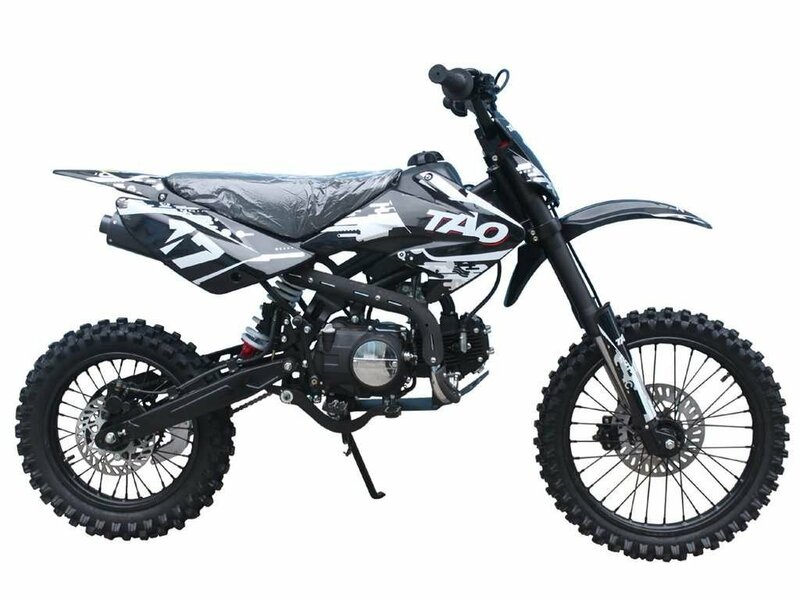 TAOTAO DB17 off-road dirt bike features a 125cc, air-cooled, 4-stroke engine and a lightweight frame for optimum power and handling. A 4-speed manual transmission is great for more advanced riders, offering finer control over gearing than similar automatic models. Dual front and rear hydraulic disc brakes combined with aggressive off-road knobby tires give the motorcycle excellent grip and stopping power. Awesome graphics complete the look. How fast this thing can go? Check out this TAOTAO DB17 Dirt Bike Speed Test Video below.